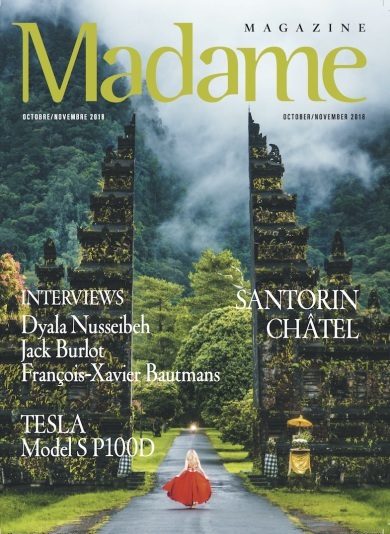 Madame Magazine, is dedicated to promoting emerging burgeoning economies and assuring that the interests of the business community are well promoted. 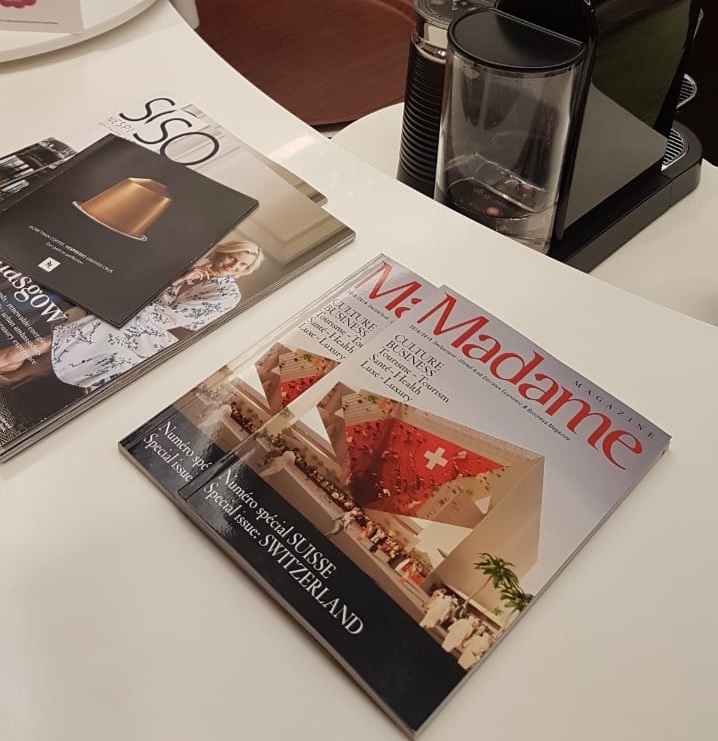 By providing key support services, networking opportunities and leadership, Madame Magazine has helped oversee the most dynamic and fastest-growing economies in Switzerland. 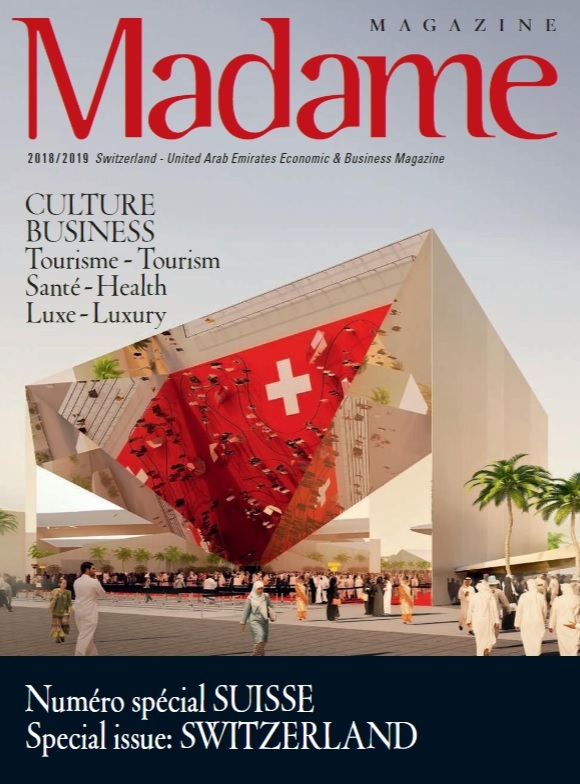 With multiple tools such, publications, events, business exhibitions, Embassies promotional campaign’s, Madame Magazine is creating the environment for beter business understanding and connecting ways between Switzerland and United Arab Emirates area markets. We helping & supporting European companies to successfully set up and develop in UAE. Help and support UAE companies to successfully set up and develop in Switzerland. We integrate upstream the specific needs of each company, team and individual. Pragmatism: we favor a highly results-oriented approach. We promise fast and proactive actions for our clients. Your company will have multiple opportunities to build brand awareness with our diverse audience as well as connect with the top Eventing competitors in the world! Switzerland , all Emirates – To Presidents and Senior Executives ; C-Level and M-D management, CEOs, Presidents, Chairmen, Bankers, Economists, Investment Promotional Bodies in UAE and Switzerland. Embassies and consulates, British business group, Lebanese Business Council…. Distribution and display in Dubai International Airports Dubaï and Abu Dhabi International Airport: First and business Class lounges, Departure and Arrival Media stands (GLS International Media Placement). All Etihad Airways flights (first and business class) 5 star-hotels, Etihad Towers Abu Dhabi Social, cultural (Alliance Francaise, Culture &Co,…) and trendy public places: Schools (French, American,…), Universities (Sorbonne, Dubai Canadian University,…) Hospitals, Clinics (JBR, Healthcare City, HFE, GDC, The Cure, Dental Clinics,…) Hotels, Restaurants, Spas, Doctors’ waiting rooms, Coffee shops (Paul, La Brioche, Galler…). In all health and social clubs (British Club, Hiltonia clubs, Equestrian Club, Golf clubs, Dubai Ladies Club,…) Within all active French associations such as Dubai Social Club, Abu Dhabi Accueil, Femmes Francophones, UFE, FBG, FBC,… Home delivery by subscription. business trips or tourist trips. You wish to advertise on ours Magazines. Whether you are an innovative start-up or a large company wishing to strengthen your image, give a better visibility to your services. Do not hesitate any more, contact our service!